Wernher von Braun, a rocket expert, said “I hold as a definite probability the existence of not only animal and vegeatable life in the infinite reaches of the universe, but also that of intelligent beings.” There are many more scientists cited about the high probability of aliens visiting our planet. They also mention that many scientists are quick to reject things that are new. An example being when trains and railroads were beginning, many scientists scoffed at it’s potential and all the ways it would fail. The idea is that this behavior within the scientific community has not ceased and has been applied to alien visitors. During the second World War, Americans were sent to certain isolated islands in the south Pacific to build airfields and military installations. When the war was over, they went home. But the natives of these islands, isolated from the outside world that were still living in the stone age, began making airplanes idols from straw and bamboo with crude runways to lure the visitors back. They revered the visitors with their technologies as gods and kept a vigil on the sky day and night, watching and waiting. A new religion was built from this encounter. Many sacred texts, like the Books of the Tibet Conture, are full of references to alien’s visiting the Earth. Other Indian prayers speak of Manas (spaceships) taking off and landing. Inscriptions on clay pots in Bhagdad dating back 5,000 years ago talk of mysterious visitors from the sky. There are other accounts of people describing Earth from a higher orbit before planes and balloons were invented. Even the Dead Sea Scrolls talk about flying ships. The frescas of Dasani show what appear to be space ships. The doumentary then talks about the pyramids of Giza and how it’s height is in direct ratio to the distance of the sun. It’s base coincides with PI and other facts that don’t seem to be random. In the Valley of the Kings, there are tombs that go several hundred feet deep. Someone these burial chambers were caved directly into the rock without any daylight. There was no residue on the walls or ceilings to indicate torches or oil lamps. Silver mirrors were theorized to bring the light into the deep tombs. On these walls appear unexplained aerial phenomena. It goes on to talk about various sites around the world where massive stone structures were constructed without the benefit of modern engineering. The precision is remarkable as well. No modern cranes can move most of these obelisks that are a single massive piece of red granite. Many prehistoric paintings show strange people with diver type helmets. Other carvings at ancient sites, like Chechen Itza show what appear to be pilots operating some controls. Their stories of different beings tell about them visiting for a time, then leaving back to where they came. possible craters in the Mayan area may have come from rocket blasts. For an unknown reasons, the Mayan civilization simply abandoned their main cities. Olmec colossal heads were found in the jungles around Mexico. Most have been dated to the Early Preclassic period (1500–1000 BC) with some to the Middle Preclassic (1000–400 BC) period. The smallest weigh 6 tons, while the largest is variously estimated to weigh 40 to 50 tons, although it was abandoned and left uncompleted close to the source of its stone. 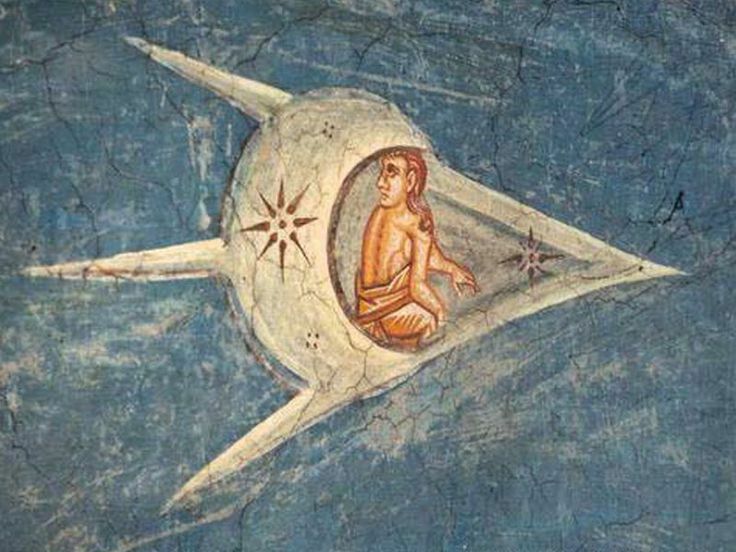 The next stop is the winged god of Parlenque, K’inich Kan B’alam II, who appears to be in some sort of capsule operating controls with some jet flames behind him. Easter Island is home to mysterious massive stone heads. 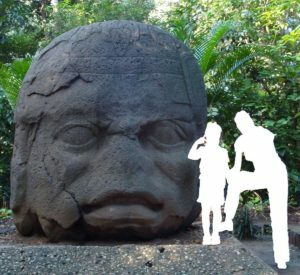 The native island name translates to “eyes looking upwards to Heaven.” Some of the stone sculptures look like heads with helmets. Some of their stories talk about space travelers visiting their islands. Some of the heads are 65ft high and 200 tons. Many of the heads look like they were cast from the same mold. The quarry was 12 miles away and no tools or rollers were found. There is a strong magnetism forces there. Many stone buildings in the Andes, home of the Incan empire, are so precisely cut that no mortar is needed. And there is no gap between any of the many sides blocks that are fit together perfectly. some of the stones weight many tons. Machu Picchu is a 15th-century Inca citadel situated on a mountain ridge 2,430 metres (7,970 ft) above sea level. Pachamama is a goddess revered by the indigenous people of the Andes. She is also known as the earth/time mother. Legend says that she landed there in a golden chariot and shared wisdom and arts and crafts with the people, then returned to the stars. Tiahuanaco was built in her honor. The door of the sun weighs 10 tons and chiseled from a single peice of rock. Three rows of pictures are arranged around a large central figure. The similarities in architecture can be found on different continents. In Australia, North America, South America, Africa, Europe and Asia. Many figurines show heads with large helmets. There is also the Baghdad battery from long ago. There is a 2000 year old lens that is perfectly shaped before modern equipment was available. An ancient Bison head in Siberia shows a bullet hole from 45,000 years ago while the beast was still alive when killed. There was an ancient plane model found in Columbia from over 1,000 years old that was testing in wind tunnels and found to be able to fly. 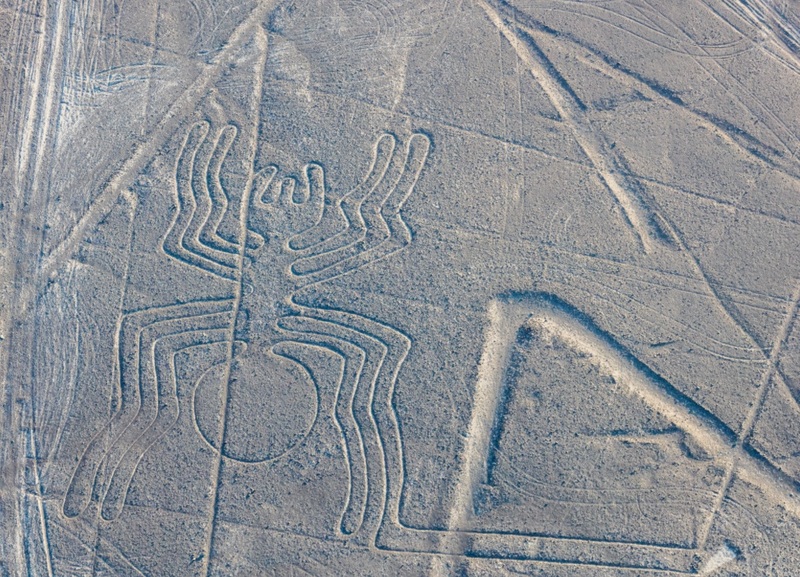 The Nazca Lines are a series of large ancient geoglyphs in the Nazca Desert, in southern Peru. The largest figures are up to 370 m (1,200 ft) long. Many show animals like a hummingbird, spider and eagle. They are unrecognizable on the ground but perfectly viewable from a high altitude. There are many other shapes that look like humans and runways.